FINLAND: COTTAGE ASYLUM SEEKER INDUSTRY (GOVERNMENT CRONYISM) GUILTY OF STIFFING TAXPAYERS IN RISING COSTS…… – The Tundra Tabloids……. However due to haste, the service was not always able to stick to good governance and the best administrative practices, and costs per asylum seeker began to rise. The ministry called on the Immigration Service to develop standard contracts for establishing reception centres in future, and to improve monitoring systems. First they jump at the chance to pilfer the public trough, then jack up their costs per muslim settler. According to my sources within the asylum industry, the immigration service blew tons of taxpayer dough on translators that they didn’t need at the time, taxi services, private doctors to get ahead of Finns waiting at the public health centers etc.. It stands to reason upon seeing that the various asylum centers thought they could get their hands on more public money as well. I wonder if YLE wil do a story on that as well? Eh….probably not. 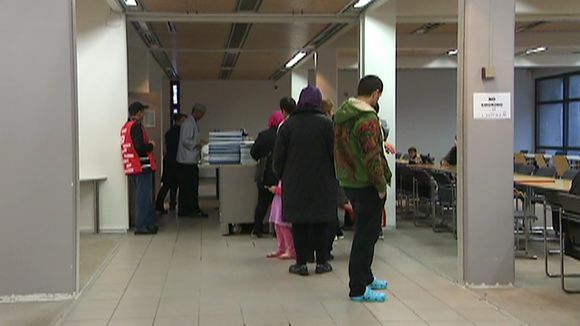 Last autumn the Finnish Immigration Service set up more than 180 within a few months. An Interior Ministry report finds that haste led to significant administrative problems. Finland’s Ministry of the Interior said on Monday that an internal review had uncovered “shortcomings” in contracts and financial practices related to reception centres set up last autumn in the country. Its internal review notes that the number of asylum seekers increased tenfold last year and that reception centres had to be established on an extremely accelerated timetable. “The Immigration Service survived the situation and managed to keep immigration under control and to expand its reception operations to the necessary extent on a rapid schedule,” the report says. Amid a sudden surge of asylum seekers that began about a year ago, the Immigration Service founded 182 reception centres within a few months. The number of new arrivals began to taper off towards the end of the year, and this year some centres have been closed or consolidated. The Immigration Service responded with a statement saying that its main objective “was to provide a roof over the heads of all asylum seekers,” acknowledging that it was aware “that in such situations, reception centres could not be established in as a cost-effective way as before”. The Immigration Service pledges to overhaul its procedures “in accordance with the findings and recommendations in the internal review”. Previous Post Previous Post ISRAEL: ISLAMONAZI TERRORIST MURDERER OF RABBI HAS HOME DEMOLISHED……..
Next Post Next Post BRIT TRUCK DRIVER IN CALAIS: “SOMEBODY IS GOING TO GET KILLED”…….